Texas Cowboys by G. Harvey ~ It has been several years since G. Harvey painted an oil piece, and this new one is quite different. 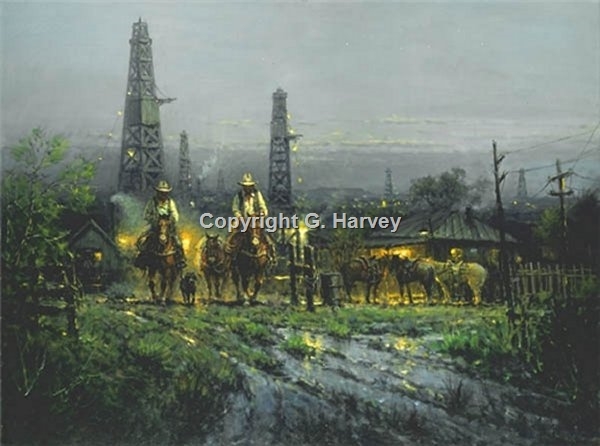 Stars twinkle in the night sky; electric lights illuminate the oil rigs and cowboys ride home at the end of the day. "Texas Cowboys" is the quintessential oil piece revealing the quintessential change in the life of the cowhand from ranching to the oil business.